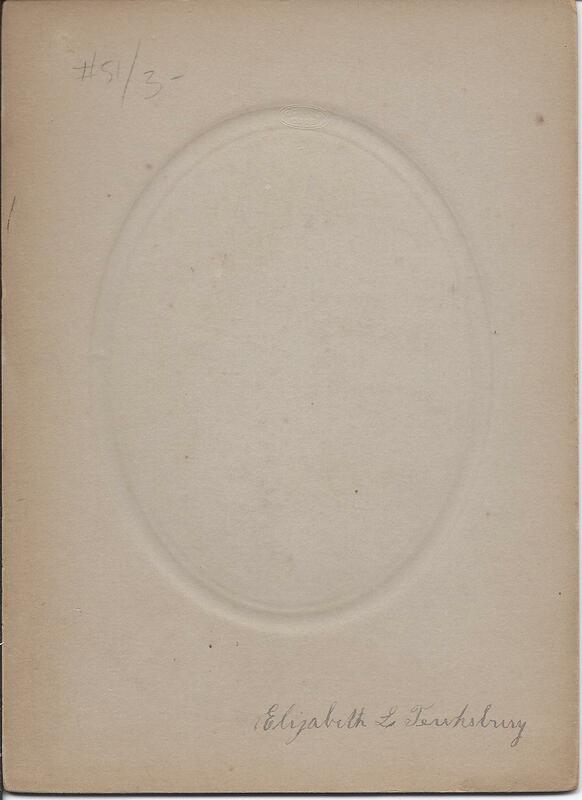 c. 1900 photograph of a woman identified on reverse as Elizabeth L. Tewksbury. 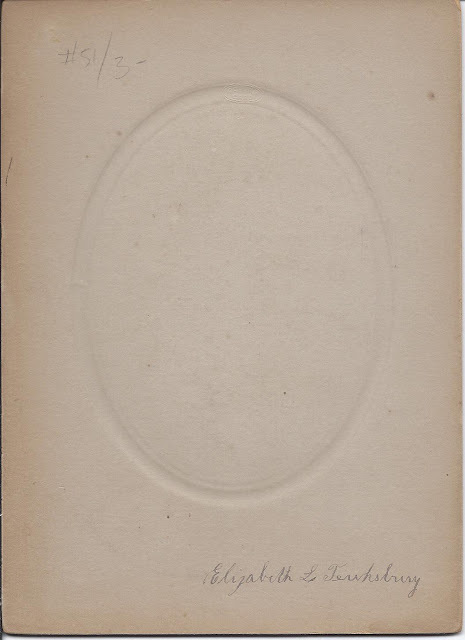 The marking of the photographer is very faint, but I believe he was Frank Barrett of Winthrop, Massachusetts. 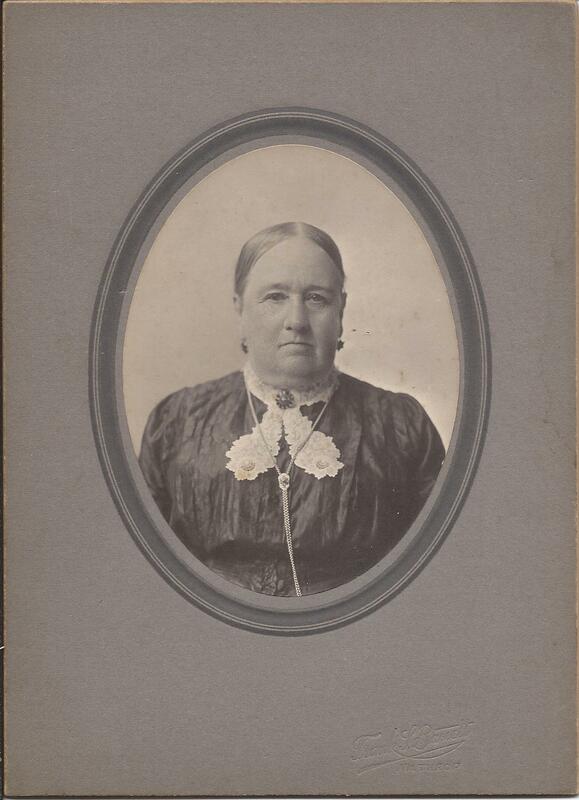 I think this is a photograph of Elizabeth Leeds Tewksbury of Winthrop, Massachusetts, whose father, John Winthrop Tewksbury, ran the Point Shirley Salt Works, after his father-in-law's death. Elizabeth Leeds Tewksbury was born in 1833 in Massachusetts, the daughter of John Winthrop Tewksbury and Abigail (Sturgis) Tewksbury, Masschusetts natives. Elizabeth's paternal grandparents were Andrew and Mary Polly (Williams) Tewksbury. Her maternal grandparents were Samuel and Lucretia (Jennings) Sturgis. I don't think Elizabeth Leeds Tewksbury ever married, and I'm not sure she ever worked outside the home, except perhaps in the family business and farm at Cottage Hill on the Neck in Winthrop, Massachusetts. If you have any corrections or insights regarding the Tewksbury family of Winthrop, Massachusetts, please leave a comment or contact me directly.